2.5 BHK Casa Rio,Palava, Dombivali. "The Journy of House to Home"
Your home should tell the story of who you are & be a collection of what you love.We @ VR Interior Designerss capturing spirit of our client and the essence of the space to design space in a best way.Your one -stop shop for Execute latest interior designs, colour ideas & Best Storage ideas. 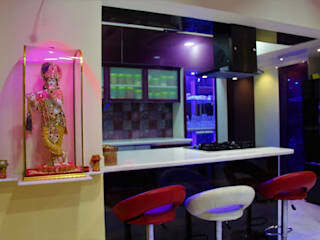 VR Interior Designerss is a Home interior customisation service for the modern home owner. We Serve Residential property owners in Mumbai, Navi Mumbai, Thane, Palava, Dombivali. 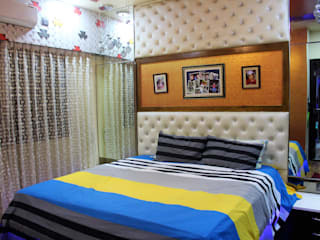 VR Interior Designerss is fast growing interior design firm, In a short period, VR Interior Designerss has served multiple customers & giving end to end Interior solutions, Our focus is on innovative solutions we ensure you get exactly what was promised through rigorous quality checks, use of trusted quality materials, timely delivery and transparent pricing. When it comes to residential interior design, the possibilities are endless. And the process can be overwhelming. You as a homeowner might have an idea what you want, but not know where to begin. That’s where our experience benefits you. We Design as per Vastu & Doing Turn Key Residential Projects with Modular Kitchen Work, Civil Works, Carpentry Works, POP Works Plumbing Works, Painting Works, Electrical Works Etc. Your one - Stop shop for Executive latest interior designs,Colour ideas & Best Storage ideas.